Carry your swim gear in style with the Speedo ® Teamster Backpack which is a functional bag that will house all your gear methodically and with ease. The multitude of pockets feature on the sides and front, to easily store goggles, caps and training gear. 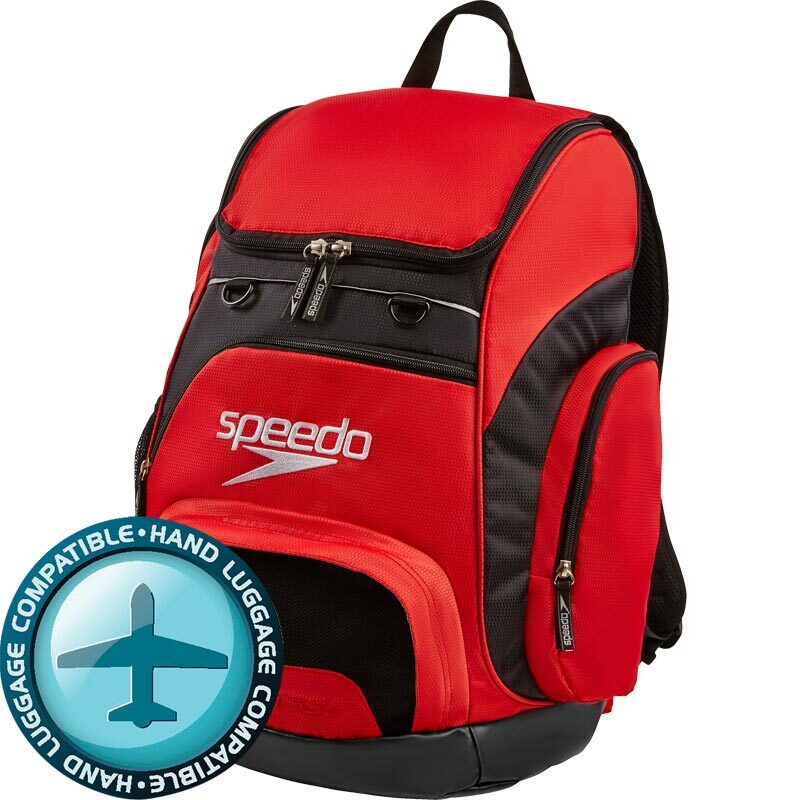 The comfortable shoulder straps and carry handle means that this swimmer's backpack is easy to transport and carry. Pull out Bleacher seat that rests behind the laptop sleeve and provides an instant cushioned dry place to sit. Bag size - 20" x 17" x 8"
Dirt bag size - 10" x 10"
Excellent quality and very sturdy.